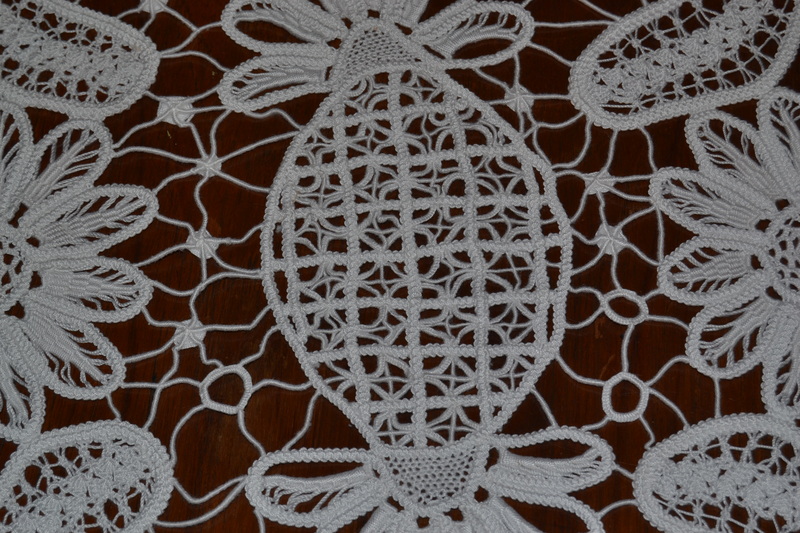 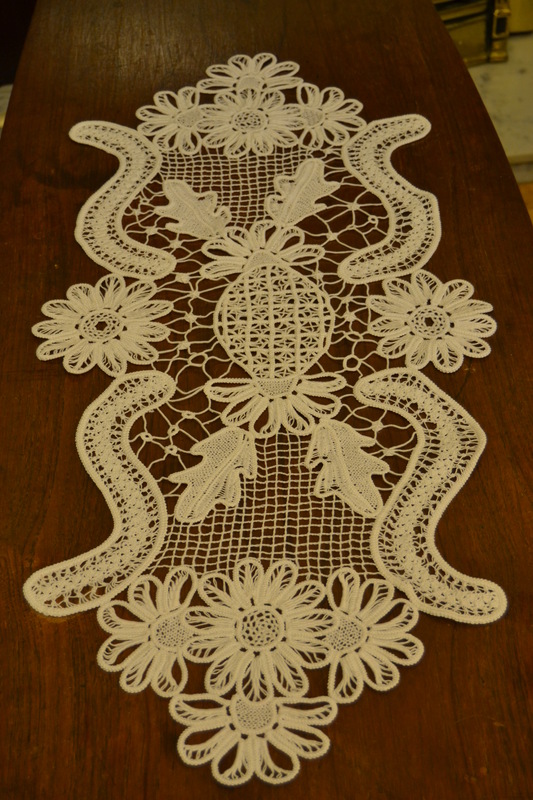 Romanian Lace, also referred to as Romanian Point is part of a family of tape laces, the earliest dating date back to 17th c. Italian Mezzo Punto. This lace started in 14th Century and was first used to connect narrow pieces of home-woven textiles used for clothing. 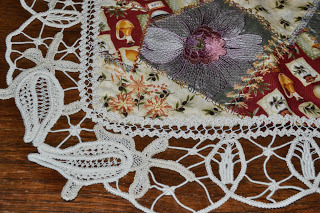 Today, Battenberg Lace is the name assigned to most laces of this type where a machine-made tape defines the design and needle-lace infillings define the texture. The uniqueness of Romanian Point is that it is entirely hand-made, the tape having been replaced by a very specific handmade braid. 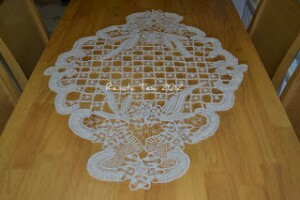 The braid which is the base of the lace is done with a crochet hook and the filling stitches are needlepoint. While the braid can take many forms, the unusual characteristic is that the forming thread can be pulled from either end. Now Romanian Point Lace is wide-spread in Europe and can be found in Belgium, Czech Republic, Germany, Hungary, Israel and some former Yugoslavian countries.